Maximize the Profitability of Even the Most Varied Food Service Program. A large, varied Food Service program can be enormously profitable in today's market. Sandwiches, wraps, burritos, pizza, cold and hot dispensed beverages, and fresh fruit and vegetables are the key to capturing new business that in the past has gone to quick serve and fast casual restaurants. With the considerable profit potential of Food Service, however, comes a number of challenges. Determining the way that child ingredient prices and margins combine to make the retail parent item's margins and prices can be confusing. And because Food Service Items tend to be perishable, you need to be able to identify the cost of spoilage and waste that will undoubtedly occur. Manage Your Program with Confidence. 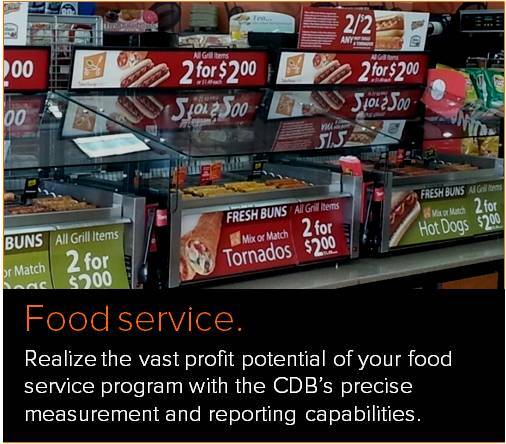 The CDB can help you avoid typical Food Service pitfalls by providing access to the detail you need. The CDB helps you analyze the costs of waste, spoilage, or theft. In addition, it lets you adjust ingredient quantities, add and subtract ingredients, and decide whether (for example) adding cilantro or flavored creamers actually increases your sales and profitability. As a result, you can move forward with more confidence knowing your retail prices will meet your expected margins. The CDB manages Food Service by breaking up items assembled in the store (like burgers) into ingredients (like buns and patties) and tracking the quantities of these ingredients in units of measure that you specify (like slices, ounces, or units). You can then attach costs to the ingredients, of which Food Service Manager keeps track as the item is put together. The CDB tells you which ingredients drive up item costs, and which ones are most likely to spoil. With careful analysis of usage and popularity, you can even invent new recipes based on their expected sales potential. 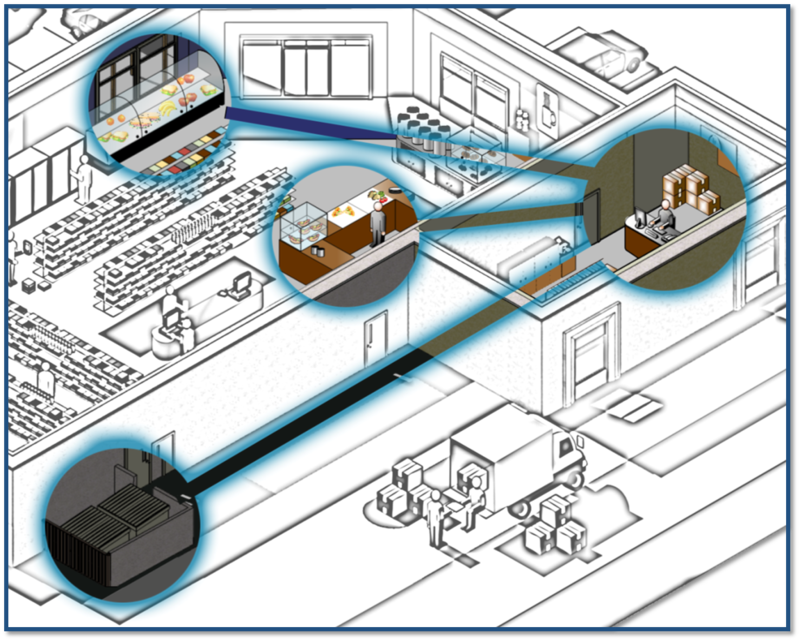 Ultimately SSCS software helps alleviate the challenges of your Food Service program, and lets you manage your recipe-based items at a granular level, a capability integral to carving out a profitable niche and meeting market demand.